We’ve been working with cash register software since 1998. We can assist you in improving the operation of your existing Lynx Software site, provide procedural advice, or troubleshoot software technical problems. 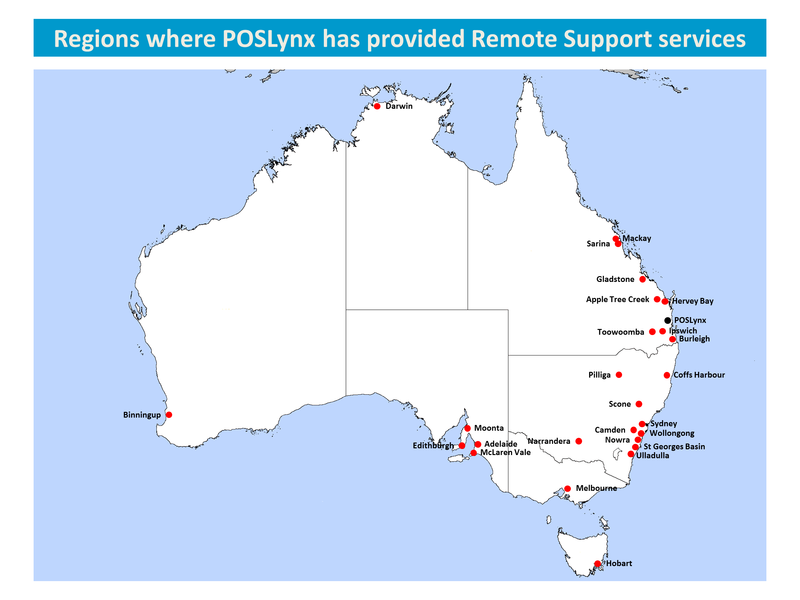 With remote access software (TeamViewer), we can access sites around Australia (and the world) via the internet to provide direct support. We currently care for sites in far north Queensland, Northern Territory, South Australia, Victoria and NSW. Uncapped email support for your technical and operational questions – don’t hesitate to contact us if you have queries about your software! 24/7 access to our Support and Training websites including our YouTube channel containing hours of informative videos. Our homepage is a regular source of tips & reminders – please subscribe to our websites and our Twitter feed. TeamViewer remote access sessions can be arranged by appointment for additional tailored training. Problem troubleshooting and database analysis – if you need it… Software upgrade entitlements for the life of the subscription – plus a remote update service if you choose to use it. We only offer support subscriptions to Lynx Software installations using the latest version of the software (currently v10). Sites with older versions can choose to upgrade their software to receive our support. We can arrange your software upgrade for you (performed remotely via TeamViewer), or you can contact a local Lynx Software reseller to do this.